rangecraft – Design Your Lifestyle. If you’re re-designing your kitchen or updating your kitchen design, a custom range hood is something you must consider. With custom kitchen design taking center stage in home design, a statement piece is vital to creating the “wow factor” that sets your kitchen apart. So why do we believe a custom range hood is THAT statement piece? Let’s look at the trends in kitchen design to find out. 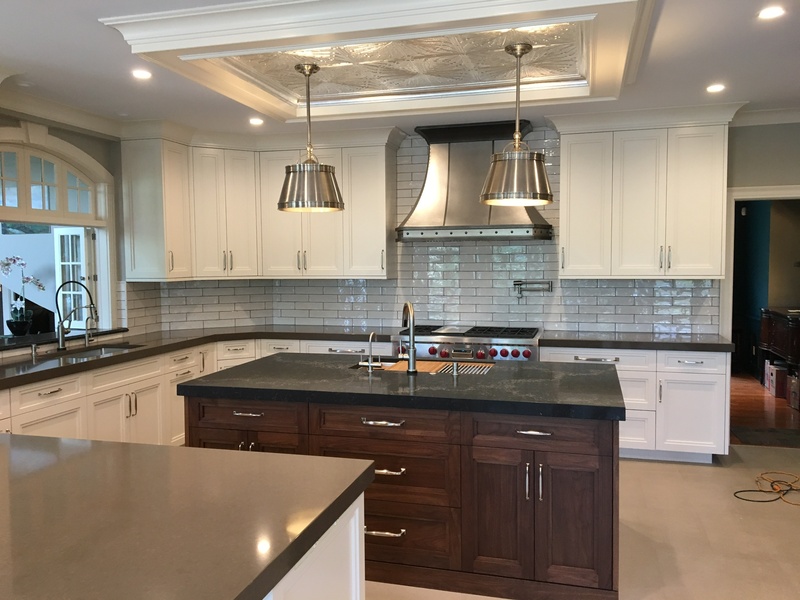 Custom range hoods can feature well in beautiful transitional kitchen designs, like this one from Peter Salerno Inc.
That’s not to say that custom range hoods in today’s best kitchen designs can’t fit into opulent, luxury traditional kitchen designs. 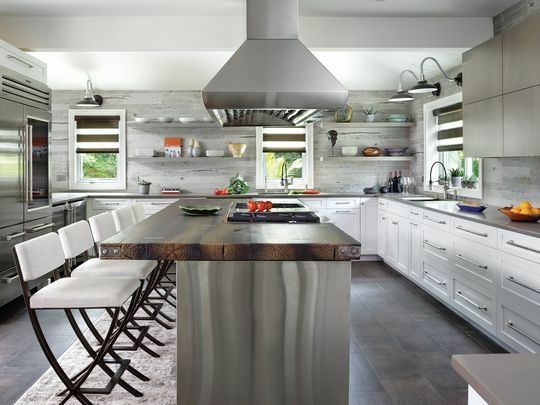 The example below (in an award-winning Peter Salerno Inc. traditional kitchen) uses reclaimed tin to dramatic effect. 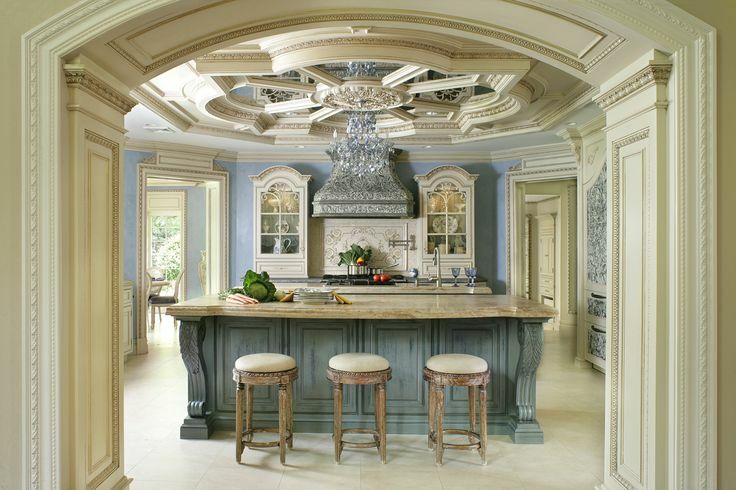 After all, it takes a lot to be a focal point in a kitchen that features a hand-carved mirrored ceiling, massive twin kitchen islands, crystal chandelier and custom handcrafted “Maestro Rosolino” cabinetry. And yet, the reclaimed tin (which is duplicated on the front of the kitchen’s refrigerator) does just that. 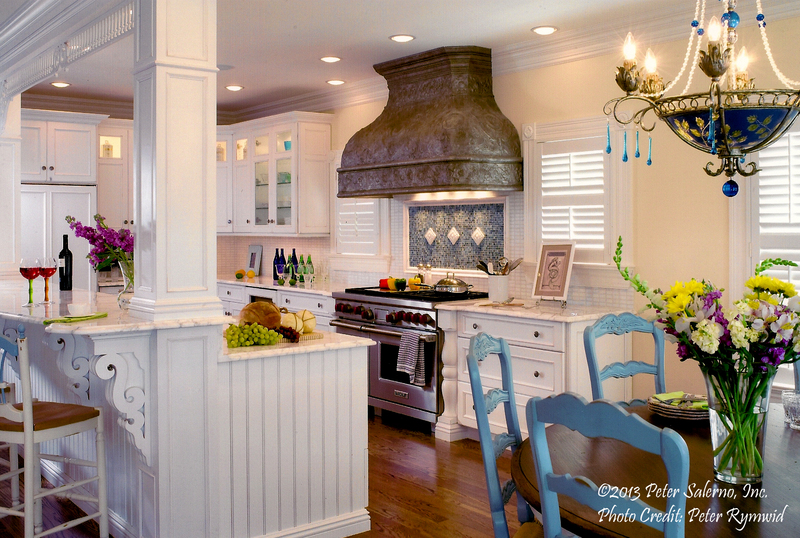 An ornate RangeCraft reclaimed tin range hood is the centerpiece of this award-winning kitchen design. A top quality range hood is an essential part of a well-designed high-end kitchen because it will help to protect your cabinetry, flooring, countertops and appliances. RangeCraft Range Hoods are truly a functional work of design art. The Jewel of the Kitchen, it also removes unwanted cooking smoke and vapors quickly and quietly. (RangeCraft offers super quiet internal fans that are less noisy than a quiet refrigerator.) Many customers choose a RangeCraft Hood first and then design their cabinetry and accessories around the hood as the focal point. 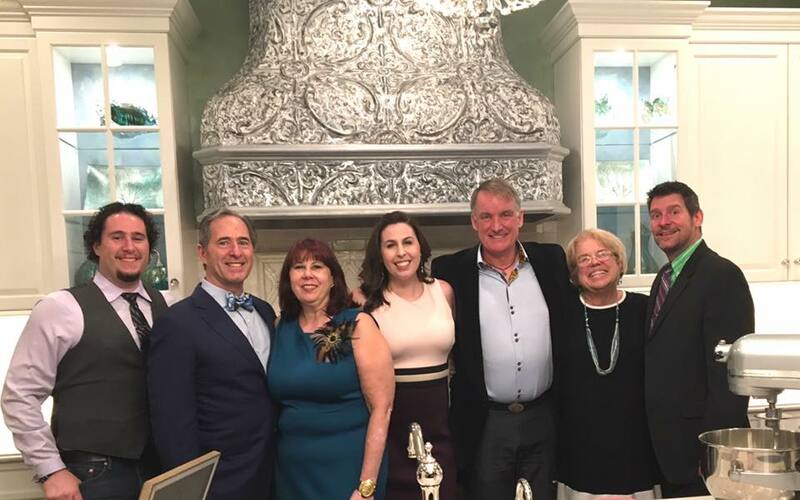 The 2017 Designer ShowHouse of NJ team, in front of a gorgeous reclaimed tin custom range hood. What do you look for in a custom kitchen design? 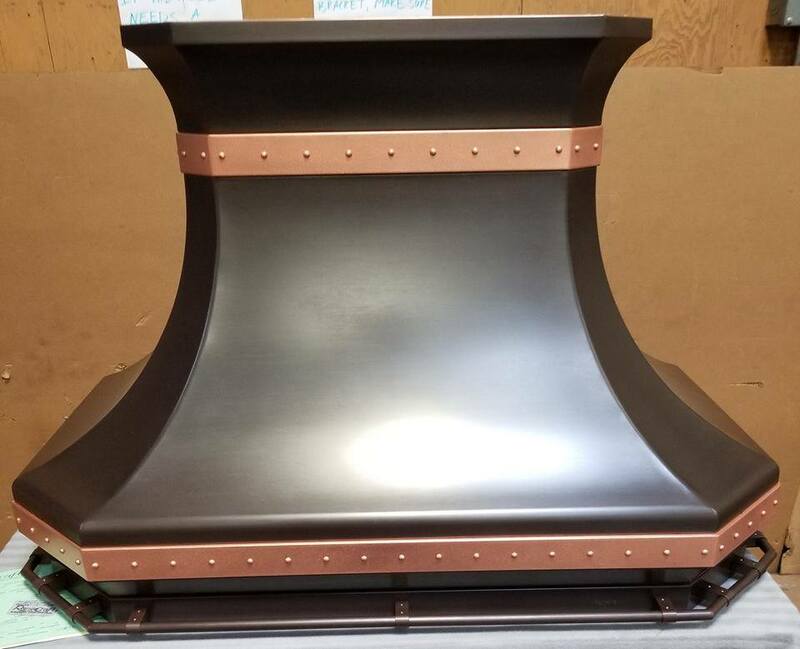 Is a custom range hood on your “wish list”? Why or why not?We’d love to hear from you with a comment or your insight – leave some feedback below and we’ll be thrilled to interact with you! 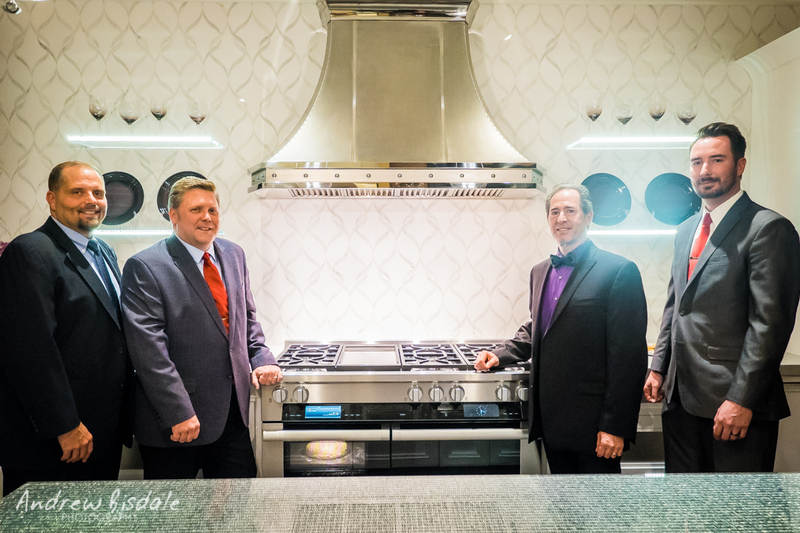 A masterfully crafted RangeCraft custom range hood, featured in Peter Salerno Inc.’s Miele showroom vignette. Sometimes, a good article is all about the photos. 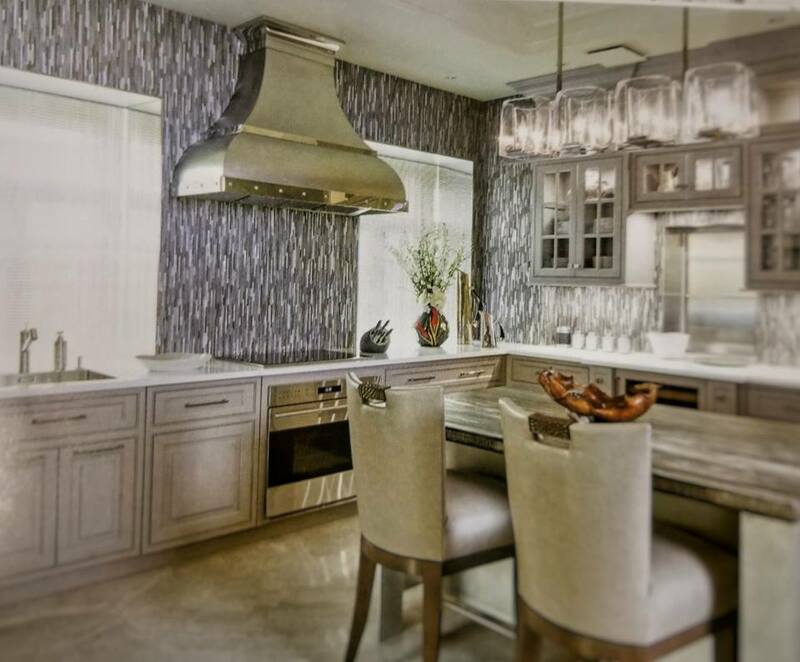 In the case of this dazzling new kitchen design from Peter Salerno Inc., we don’t feel the need to talk too much. It’s a modern kitchen that delicately balances 2018 trends with classic design elements to create a clean, sleek kitchen design that will be “in” for decades. From the fresh, trendy subway tile backsplash (courtesy of Stratta, the Tile Boutique) to the custom RangeCraft range hood, the statement wall of the kitchen lives up to its billing. Small details separate this kitchen from others like it. 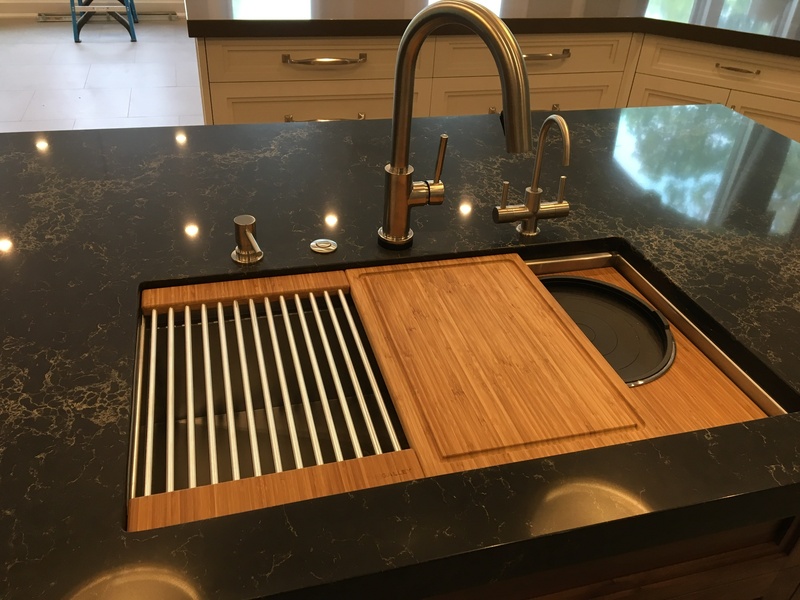 The bamboo work in the island sink from The Galley creates an appealing, unique accent. Brian Greer’s recessed tin ceiling work is dazzling in effect yet subtle in its artistic touches. And with suppliers like Sub-Zero and Miele, you can be sure the appliances in this kitchen design are world class. In a future article, we’ll feature the hallway closet and gorgeous butler’s pantry that tie in with this kitchen design. 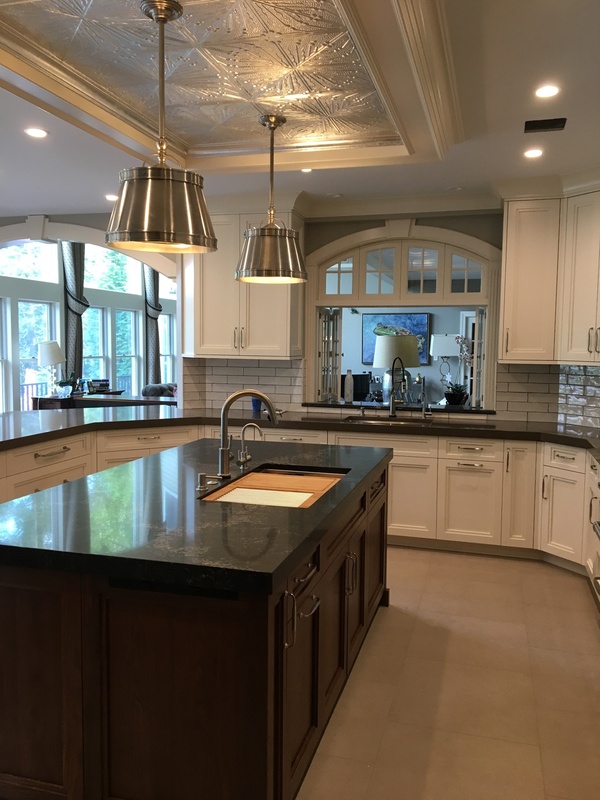 As you scroll through the remainder of these kitchen design photos from Peter Salerno Inc., take a look at the official kitchen specs – range hood, kitchen island, counters, appliances and more! – Island sink – The Galley Sink in Bamboo – we love this sink; it comes with tons of pieces for entertaining and cooking! 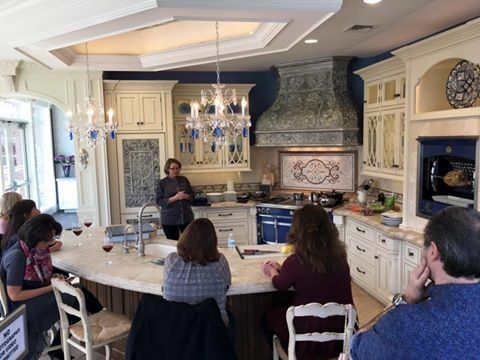 We talk so much about trends in kitchen design at Design Your Lifestyle. 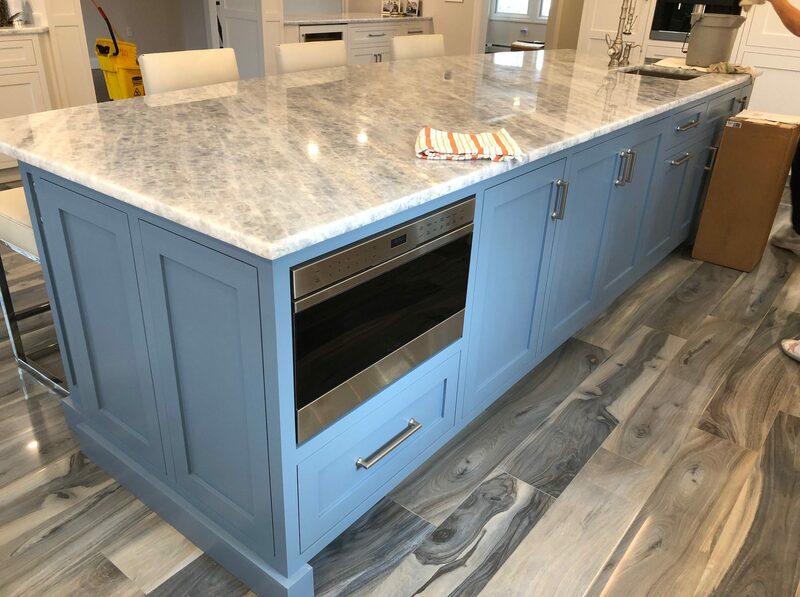 It’s always a treat to get to show our followers those trends in action with beautiful design photos from a gorgeous new kitchen design installation! Today, those design photos come courtesy of our parent company, Peter Salerno Inc. 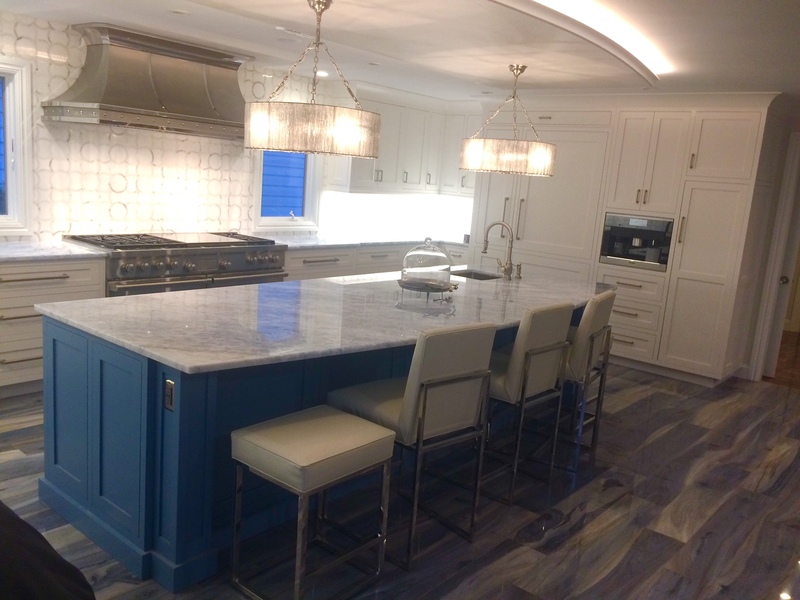 Since 2002, Peter Salerno Inc. has won an astounding 35 national design awards in custom kitchen and bath design from some of the most notable names in the industry – the National Kitchen & Bath Association (NKBA), KBIS, Signature Kitchens & Baths, HGTV and more. We are in love with the blue island. In the midst of such a clean, neutral-based design, the island base truly ‘pops’ with dramatic effect. 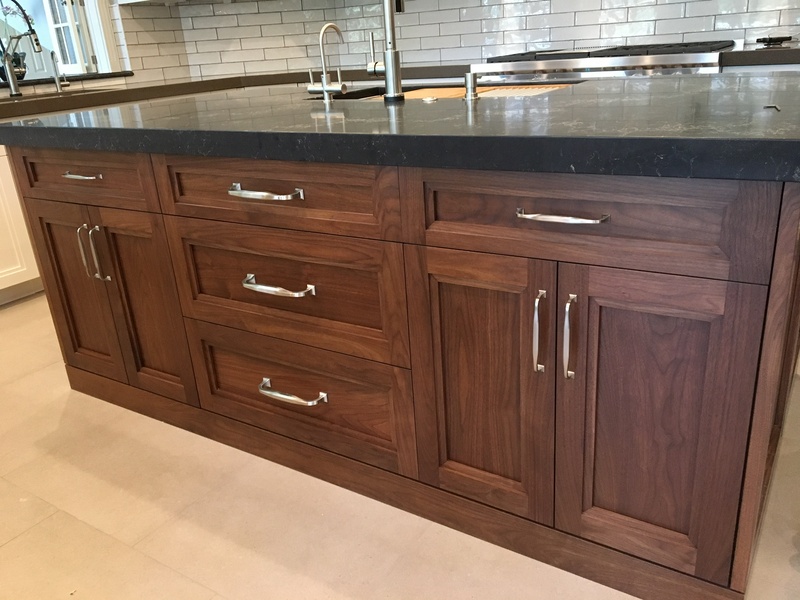 Coupled with the sleek island countertop designed and delivered by Stone Surfaces, this could easily be one of the most admirable kitchen island designs of 2018. What more can we say about Rangecraft and its custom range hood designs? As usual, Rangecraft created and delivered the perfect custom range hood for this kitchen design – sleek, sophisticated, and versatile. It’s just subtle and classy enough to blend into the design, and just audacious enough to be a conversation piece of its own. Stratta, the Tile Boutique created multiple masterworks in this kitchen design. Besides the backsplash and floor tile in the kitchen, make sure you view the full compliment of photos on Peter Salerno Inc.’s Instagram account to see a beautiful saddle and tile work around a new fireplace. 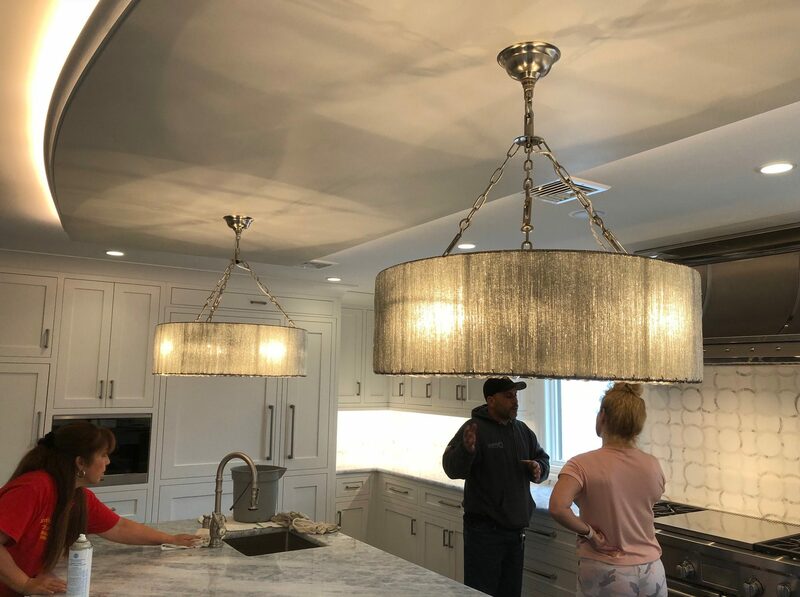 We obviously love the statement lighting above the kitchen island, but don’t ignore the beauty of the other lighting features in this kitchen design. Pay attention to the lighting emanating from above, which appears to give an ethereal ‘halo’ to a floating ceiling feature central to the kitchen design. The clean white cabinetry meshes perfectly with the overall kitchen design, providing proper form and function without pulling the eye from the more opulent features of the kitchen. All photography in this article is courtesy of Peter Salerno Inc.
Why Should You Choose a Custom Range Hood For Your Kitchen? 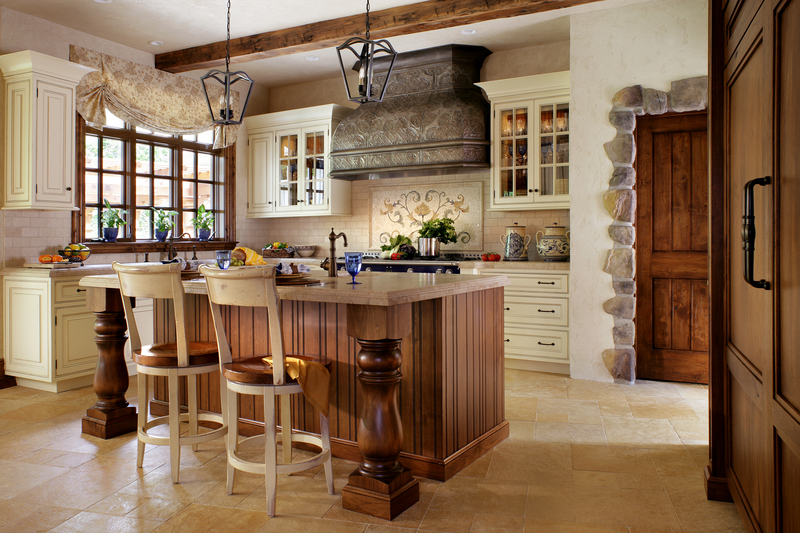 You’re ready to create or update the custom kitchen design of your dreams. Working with the very best kitchen designers (like 30-time national award winner Peter Salerno Inc.), you’ve settled on the finest luxury appliances, the perfect counter surface and backsplash, statement lighting, and a gorgeous kitchen island. Using reclaimed tin in kitchen designs: just one way Peter Salerno Inc. creates the custom range hood of your dreams. But what will you do to take your dream kitchen to the next level? What will make your kitchen the one-of-a-kind custom creation that will truly make it the envy of your guests? 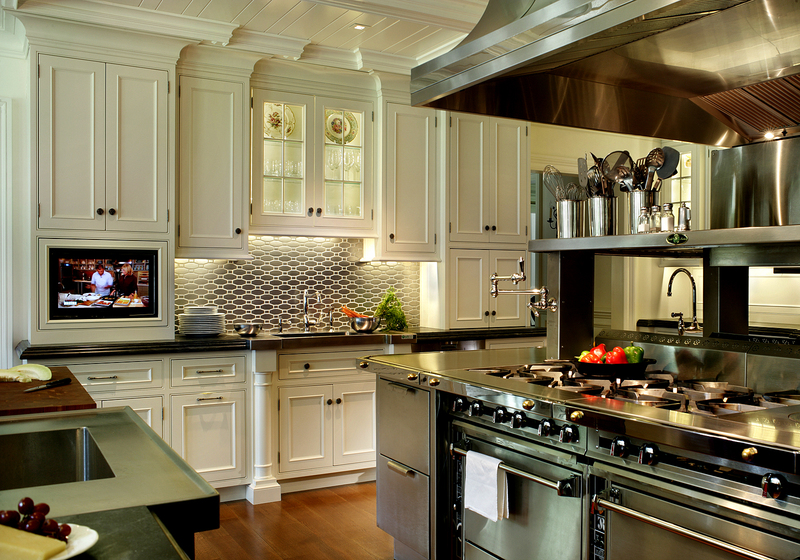 Experts like Peter Salerno, CMKBD, agree that a custom range hood for your cooktop and range is the perfect statement piece to adorn any truly unique kitchen design. 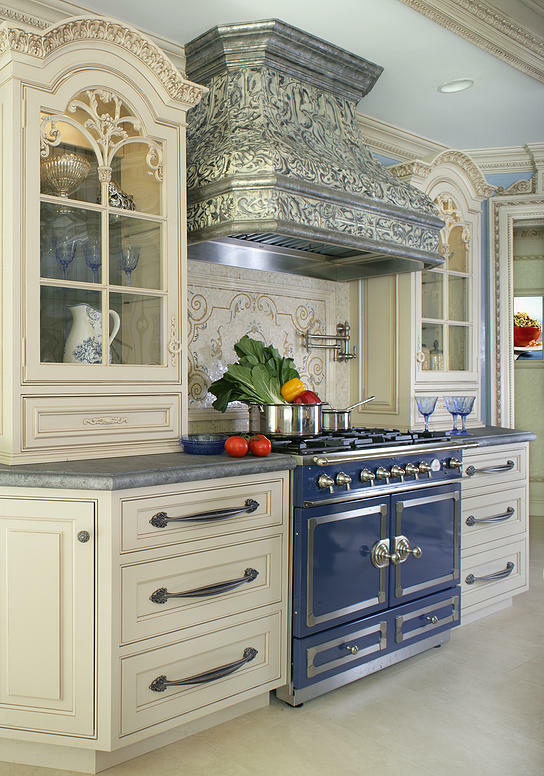 A custom range hood, when created masterfully, reflects the taste and personal style of the kitchen’s owner while adding a tone of elegance and unique backstory to your kitchen. Imagine being able to tell your family, friends and guests that your range hood is made from reclaimed tin collected from classic gas stations along Route 66. Think about the elegant, opulent story your kitchen will tell if your range hood is custom-made from materials taken from a speakeasy once owned by Al Capone or an historic jazz club in New Orleans. 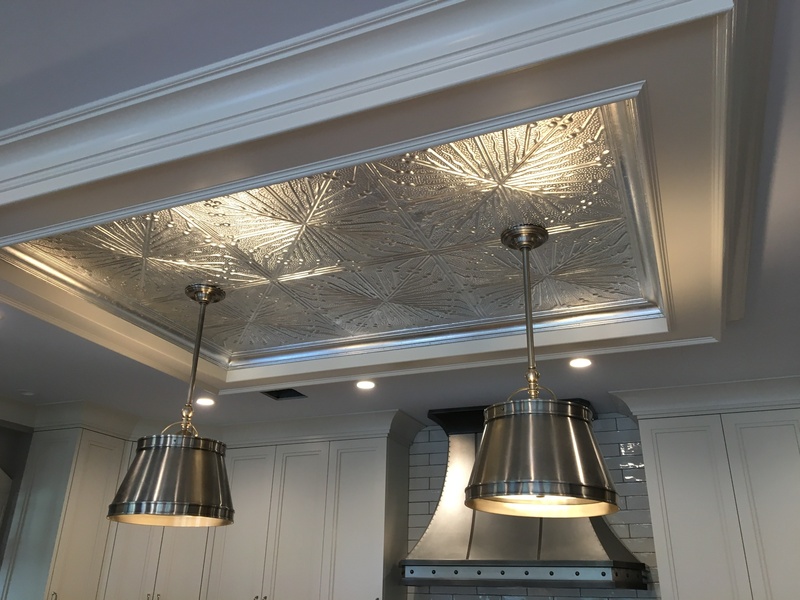 Your kitchen can tell these stories with its very own custom range hood, designed exclusively for you by Peter Salerno Inc. and its network of master craftsmen and artisans. 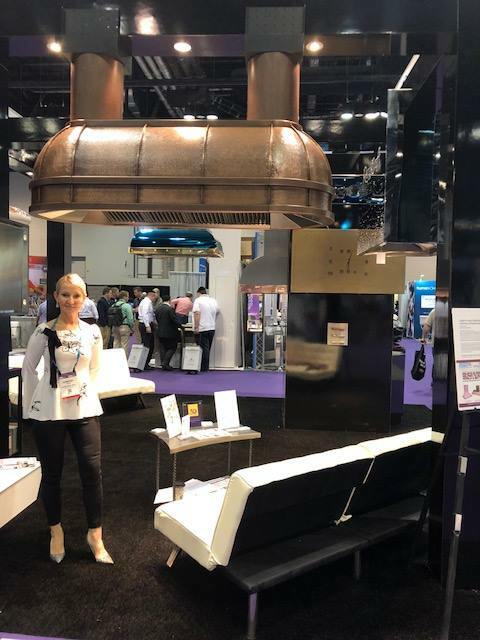 Working with its own staff of skilled artisans, as well as industry leaders and innovators like Rangecraft, Peter Salerno Inc. will create a state-of-the-art, unique range hood for your kitchen that is both fully functional and truly one-of-a-kind. 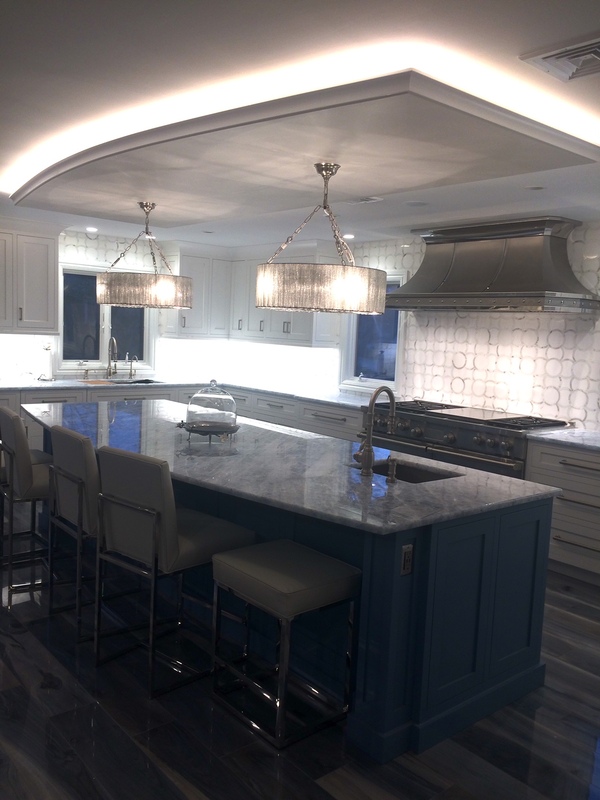 For more information about Peter Salerno Inc. and its custom range hoods for your kitchen, visit their official website, call (201) 251-6608, or fill out the contact form below. 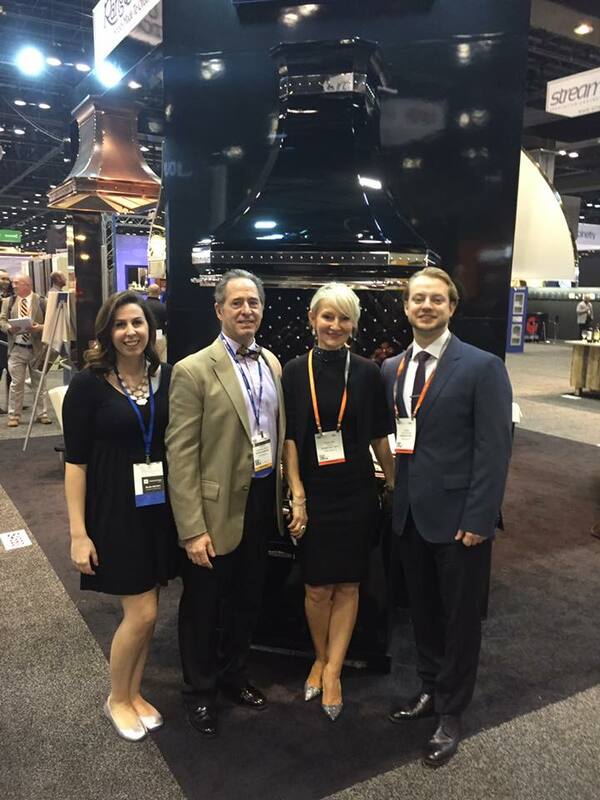 Exclusive Photos from the KBIS 2017 Conference in Orlando! Every year, the annual KBIS conference is THE foremost week of design in North America, and the 2017 KBIS conference was no exception. From January 10-12, 2017, KBIS 2017 took over Orlando with stellar design exhibits, contests, seminars and the largest array of design industry exhibitors North America will see all year. Thanks to our friends at Peter Salerno Inc. (winners of more North American design awards than anyone since 2002, and NKBA members), we’re able to bring you exclusive photographs from INSIDE the KBIS 2017 Convention! A major highlight of this year’s conference was the KBIS NeXT Stage, presented by the NKBA and sponsored by HomeAdvisor. The KBIS NeXT Stage showcased the industry’s latest trends and insights shared by leading kitchen and bath experts. 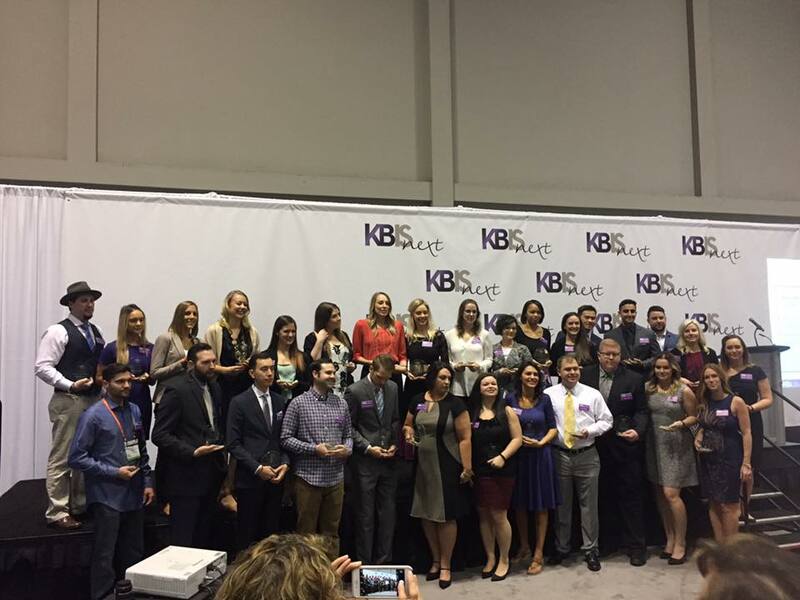 The NKBA 30 Under 30 recipients together at the KBIS NeXT Stage, KBIS 2017. One of KBIS NeXT’s prominent features was the NKBA 30 Under 30 presentation, featuring a crop of outstanding home, kitchen, and bath design professionals under 30 from across North America. By the way – congratulations to Peter Salerno Inc.’s Anthony Michael Salerno for being one of this year’s 30 Under 30! 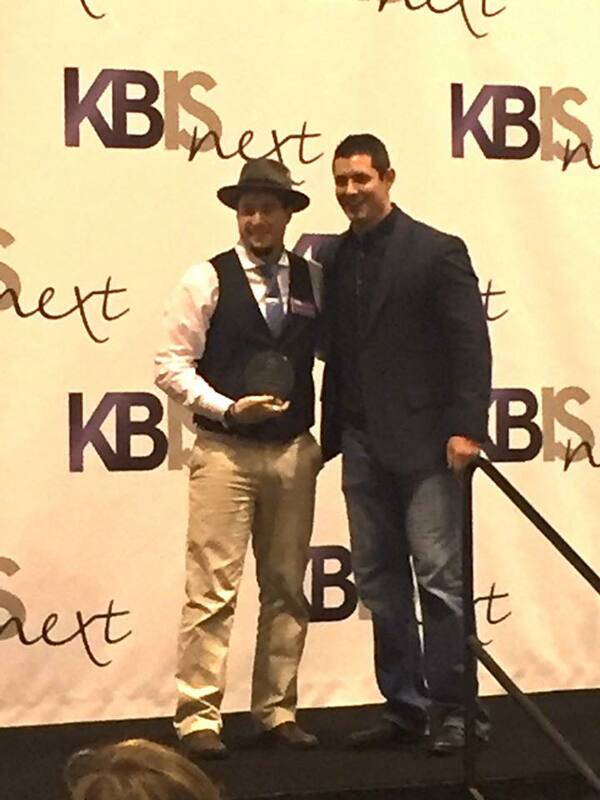 Anthony Salerno (of Peter Salerno Inc.) at the NKBA 30 Under 30 presentation, KBIS 2017. Anthony’s selection as a 30 Under 30 recipient gave us incredible access (and photos) to the KBIS NeXT Stage, so we can thank him for some of the awesome photos you see here! 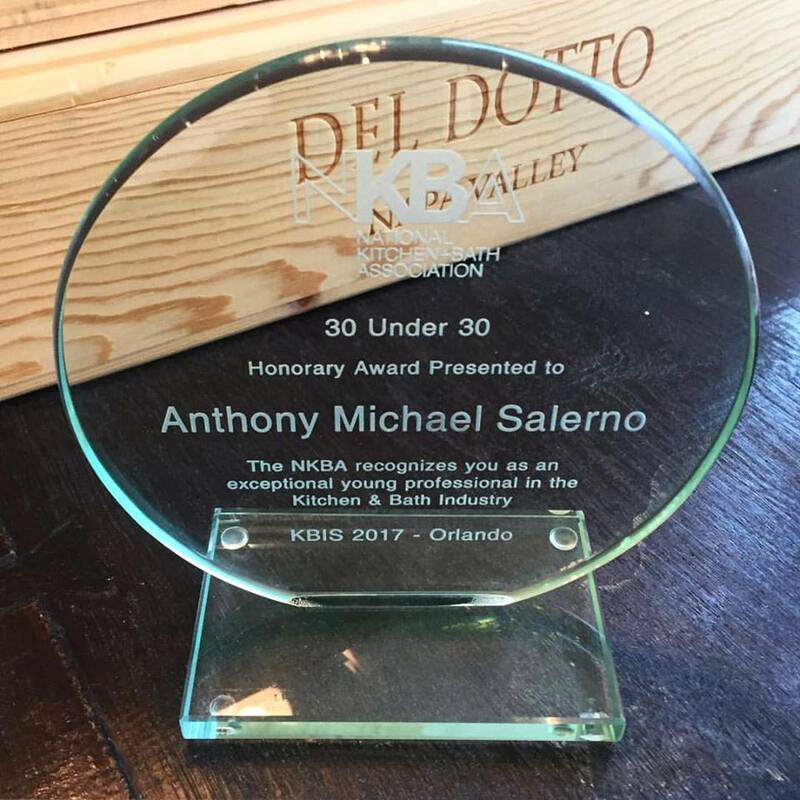 Anthony Salerno’s 2017 NKBA 30 Under 30 Award, KBIS 2017. 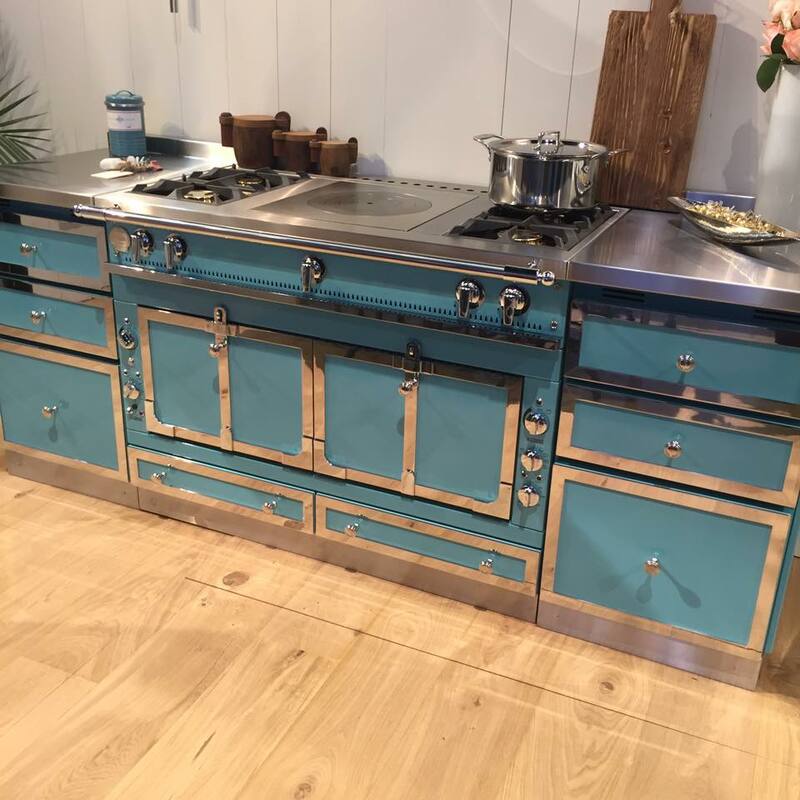 We also LOVE the new appliance trends at KBIS 2017 – most notably, what La Cornue had to offer. The featured color of La Cornue range on the KBIS Conference floor was a true jaw-dropper and the talk of many design exhibitors and attendees. The stunning La Cornue display range at the KBIS 2017 Conference. It was also great to see Rangecraft featured so prominently. Makers of fine custom range hoods from a diverse assortment of materials, Rangecraft is (in our opinion) an “IT” company to watch in 2017. 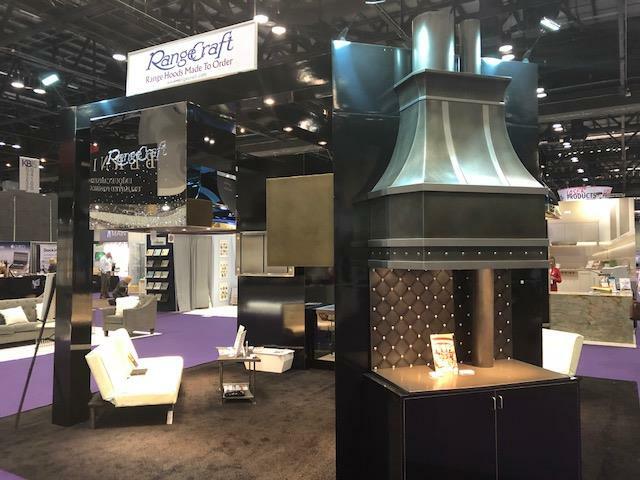 If you love the concept of a custom range hood (especially stainless steel) in your home or professional kitchen, Rangecraft is certainly a brand to keep in mind. 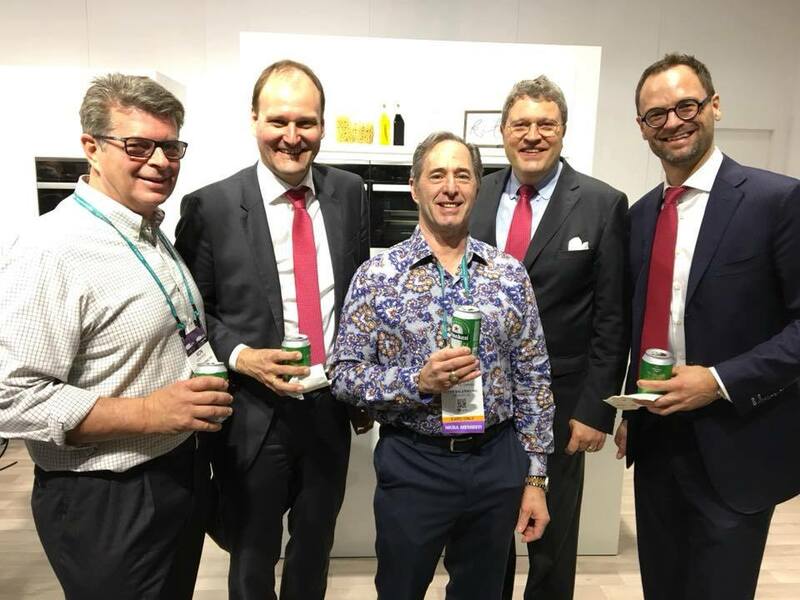 Peter Salerno and Gabrielle Mayer with David Podwyszynski & Ramona Panus of Rangecraft at KBIS 2017. If you love the photos you see featured in this article and want even more – fear not! We’ll be back in just a few short days with Part 2 of our Photo Review of KBIS 2017!